Rent this tastefully furnished 4 bedroom, 3 full bath home on .38 acres. From main level living areas enjoy spectacular sunshine and panoramic mountain views. Built in 2000, this home sleeps as many as 12 people and features vaulted ceilings, log accents, gas fireplace, satellite TV, free high speed wireless internet and a 2 car attached garage. 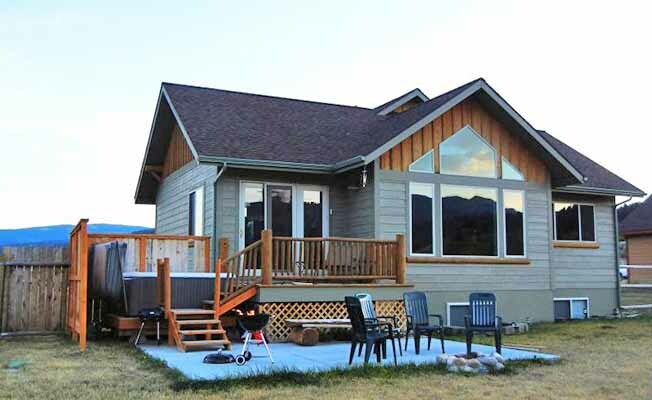 This vacation home is perfect for any outdoor enthusiast with Yellowstone, Big Sky Resort, Moonlight Basin, three golf courses, snowmobile outfitters, whitewater rafting, fly fishing and many great restaurants located within minutes of your front door.